Coroshingle is a lightweight shingle tile strip suitable for use in timber frame roofing projects around the home and garden on sheds, play houses, home offices, summer houses and kennels. Featuring a simple interlocking system the tiles are quick and easy to lay providing a quality broken bond pattern. 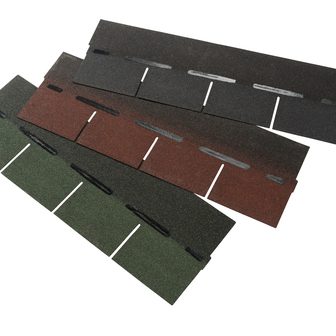 Coroshingle tiles are available in a choice of Slate, Red and Green. We recommend using 5 fixings per Shingle Strip.